Located in Central/Eastern Europe, Romania’s culture has many Polish, German, and French influences. Romanians tend to be reserved and formal at first, until getting to know people. You can expect your Romanian au pair to be very polite and respectful, and to open up to your children once given a chance to bond with them. Romanian couples usually have one or two children, and large families are not very common. If from the country-side, it is quite common for relatives (usually grandparents) to live in the main household. But when from the city, a family will usually live separately from their relatives. Nevertheless, families ties remain strong and it is a core value of a Romanian’s life. 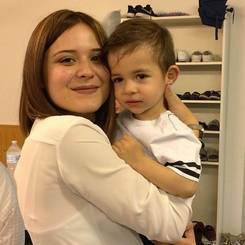 Romanian au pairs will typically have experience doing private babysitting, caring for a fewer number of children but on a more regular basis or for longer periods of time. Children tend to leave the parental household rather late, usually after completing post-secondary education or once getting married. The percentage of students pursuing post-secondary education is still quite small but is increasing. The minimum driving age in Romania is 18 years old. To obtain a driver’s license, one must first pass a written exam and then a practical exam and is more expensive than here in the United States. Most families may not afford to have a car available for their children, and as public transportation is rather good in most Romanian cities, it is the most common mean of transportation for young people. We recommend you discuss your driving needs with your au pair during the interviewing process. Romanian children have initiation early on to foreign languages, usually English, French, or German. This continues in Grade 4 and later and most students choose English. If they chose another language, students would have the option to add a free choice class of intensive English. 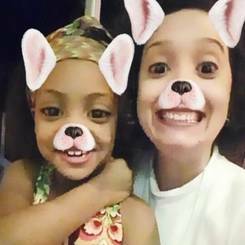 As for many other countries, you can expect your Romanian au pair to be more comfortable in writing and reading than speaking and listening. It is a good idea to write down you au pair’s schedule and duties at least in the early stages! I babysat Shaban (3) from 2016 to 2018 for about 4 hours a week. I took him to the playground, cooked for him, played with him, and put him to bed. I also watched Laila (1) from January 2017 to 2018 for about 5 hours a month. I played with her, changed her diapers, took her for walks, and cooked for her. 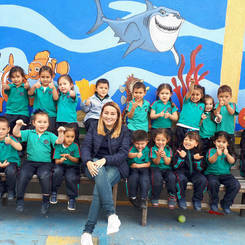 Lastly, I worked at a kindergarten with children ages 3 to 6 from November 2011 to July 2012 for about 6 hours a week. My responsibilities included playing with the children, reading to them, playing outside with them, and helping them eat. I would like to be an au pair because I like to work with children. Working with children fills me up. I also want to gain experience and continue my education. Travelling to America and working with children has always been my dream and I also want to improve my English. 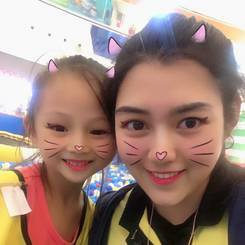 Meeting new people and getting a second family would make me very happy and I think it would be a good choice because I'm a good communicator, friendly, honest, and I love to work with children. In 2016 I took care of Maicol (3) 36 hours per week for 5 months, doing everything from dressing him up, taking him to the park, feeding him, bathing him, playing with him, etc. Since May 2018 I have been caring for Juan (5mo) on the weekends, feeding him, changing his diapers, bathing him, and putting him to sleep. Lastly, in 2018 I worked for a month at a kindergarten with children 3-5 years old full-time (45hrs per week), helping with meals, doing "homework" and craft activities, helping with their English and numbers and colors. Bicycling, swimming, table tennis, some extreme sports. The experience of a cultural exchange is something that is rarely experienced in life and this is accompanied by the care of children is the best experience, taking care of children develops other senses and one of them is common sense. I have the ability to adapt, a good sense of humor, I am a dynamic and creative and responsible person. Additionally, I have experience taking care of children with special needs. From 2014 to 2016 I took care of Eren (7) about 3 times a week, preparing his meals, playing basketball together, helping him with baths, helping with homework. After that I care for Yagiz (5mo) on the weekends, feeding him, helping with baths, reading stories, going to the park, etc. 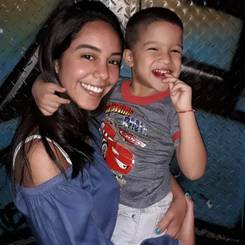 I believe that becoming an au pair will make me a better person and is a unique experience. I am ready and excited for this beautiful experience with you and your children in USA. I am sure that we will have a good relationship and I will do my best for your child(ren) to feel comfortable and happy with me. I really want to be a great big sister for your family and a wonderful international daughter for you. I really want to learn about the American Culture, the family celebrations, traditions and at the same time share my culture, my language and our traditional meals. In 2010-2011 I was taking care of Serhat since he was a newborn, about 4 hours a day, 6 days a week (and full-time during the Summer). I prepared his food and fed him, bathed him, changed his diapers, put him to sleep, we played played outside and went in the water swimming. From 2015 until 2017 I was resopnsible for Zeynep (3) and Burak (7) 25 hours per week, playing games, cooking, reading stories, helping them with baths. Climbing, snowboarding, basketball, volleyball, swimming. I want to become an au pair, because I will do my favorite job. I'm experienced in this. My communication with children is very good and strong. My personality is very suitable for this job. I love children and I'm happy spending time with them. Furthermore, I want to improve my English skills, meet new people and Iâm sure, one year far away from home will let me grow more as a person. I really feel lucky to come there and to be part of your family. 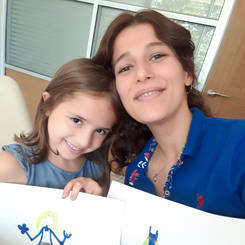 Between 2014-2015 I have been taking care of Sofia (7) I planed activities for her, played with her and helped her with homework. In 2018 I was a teacher assistant for 8-year-old children. I led the classroom, motivated children to read and played educative games with them. In 2018 I was responsible for Escarlith (6) and Mixmiliano (1) I played with them, bathed them and cooked for them. In 2018 I was volunteering with a group of children between 4-9 years old. Between 2012-2014 I was responsible for Stefania (4) I cooked for her, played with her and bathed her. **I am willing to care for children 1 year and older. 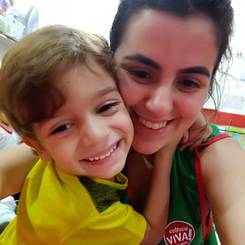 ** I think I can be an excellent au pair because I am a hard worker, I like to play with children and tell stories, these activities remind me when I played with my brother. I adapt easily to different environments, I am sensitive and observant of the things that happen around me. I would love to take care of your children, love them and show them something of my culture and my country, that ultimately determine who I am. I am first aid certified. Between 2016-2018 I have been taking care of Iniara (4) and David (1), I put them down to nap, prepared meals for them, played with them and supervised them. In 2018 I babysat Nicolle (7mths), I prepared bottles for her, changed diapers, bathed her and put her down to nap. In 2015 I was responsible for Fabiana (1), I played with her, put her down to nap, fed her, dressed her and supervised her. 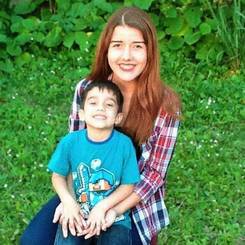 I would be an excellent au pair, because I am very patient and I want to share with children my culture, I want to learn about american native language, I believe in my strengths. 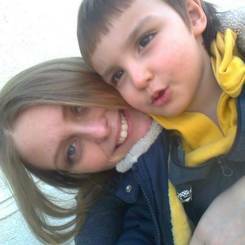 I would be an excellent au pair, I am very patient and funny girl, I want to share with your children. I want to learn about your language and your culture.We can be a team, and I can teach the children about my culture, my language and my traditional food, I can help them with their homework. I want to be the older sister and be part of your nice family. In 2011-2016 I took care of Paola (9) and Alexandra (5mo) once a week for 8 hours. I helped with homework, nap time, preparing their meals, giving the baby the bottle, helped with bath time and their overall learning and development. In 2016-2017 I was looking after Christopher (3) once a week for 7 hours, playing with him, preparing his food, putting him to bed. From 2014 to 2018 I was responsible for daniel (9), Andres (5) and Mathias (2mo) 3 days a week for 5 hours. I prepared the bottle, changed the baby's diapers, helped with baths, homework, bedtime, etc. Finally in 2018 I worked at a daycare center with children 3 months to 2 years 4 days a week for 5 hours each. 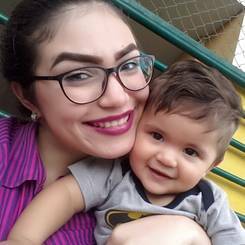 Iâd like to be an au pair to improve my English while I learn about the American culture, live with host family and doing something Iâve done for many years and I enjoy doing and that is taking care of children. Therefore Iâm very creative, responsible, patient and that will help me through my time as an au pair.